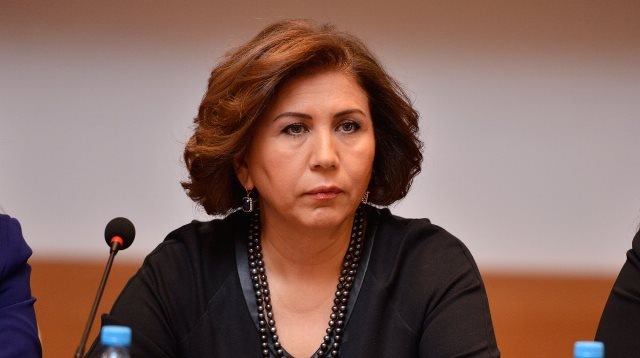 The Parliament of Azerbaijan has made relevant changes and amendments to the legislation on combating human trafficking and smuggling, and has taken very serious steps in this direction, the vice-speaker of the Parliament of Azerbaijan Bahar Muradova said. She made the remarks during a conference held in parliament on the topic of “Diversified approaches to human trafficking and smuggling: international and national legislation and operational base”. Muradova noted that Azerbaijan has joined the relevant UN convention related to this topic. "The obligations entrusted to us by this convention and the protocols based on its principles push us for more serious cooperation, and I consider that this cooperation is useful both for multilateral relations within the framework of international organizations and for bilateral relations. The serious discussions were held in the Azerbaijani parliament on issues of concern in the world and the region, as well as in our country, and, proceeding from this, the changes and amendments were made to the legislative acts,” the vice-speaker noted. Muradova added that it is necessary to cooperate and be partners in the fight against human trafficking and smuggling because such crimes are considered the most cruel and humiliating among the criminal acts committed against a person. In conclusion, the vice-speaker said due to the policy pursued, Azerbaijan holds a significant place inherent in it in the region and makes a significant contribution to the issues of concern to the world and the region.